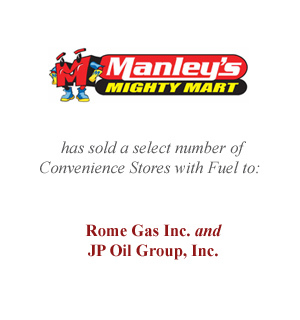 In the mid-90’s, after a distinguished management career at various oil companies including Hess Corporation, Tony Manley founded Manley’s Mighty Mart (“MMM”) a convenience store and retail fuel chain based in Binghamton, NY. In 2008, after the business had grown to 23 units, Mr. Manley retired and his daughter left her senior corporate management position to manage MMM. Three years later, however, with the unplanned departure of his daughter from MMM, Mr. Manley was forced to return to manage the company. Five years later, Mr. Manley, seeking to again retire, retained TrueNorth to sell MMM in a competitive sale process. During the course of the engagement TrueNorth discovered that sale proceeds to the Manley’s would be adversely impacted by a large depreciation recapture tax and a significant debt prepayment penalty related to its senior lenders Swap Agreement. 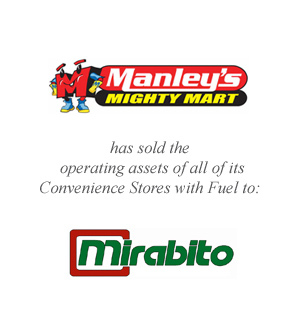 TrueNorth determined that to minimize these reductions in sale proceeds and maximize the return to the Manley’s, the sale of MMM had to be split into two sale processes, with the owner leasing certain assets to one of the buyers. The first transaction, to Rome Gas/JP Oil, included the sale of six underperforming locations. The second sale, of the remaining 17 locations to Mirabito Energy Products (“Mirabito”), was structured as a combination of a lease with purchase option and a sale of assets. To avoid the debt prepayment penalties and defer the depreciation tax recapture, TrueNorth structured a five-year lease, with a purchase option, whereby Mr. Manley leased the physical store locations (land and buildings) to Mirabito. The lease payments are providing Mr. Manley with monthly cash income and offsetting his debt service requirements. Upon the maturity of the lease, Mirabito has strong incentives to exercise the purchase option, thereby successfully completing this complicated sale process that both maximized gross proceeds from the sale and minimized reductions to the owner’s return. TrueNorth was retained by Wanzl Metallwarenfabrik GmbH (“Wanzl”) to expand its global business to the North American market. At the time, Wanzl, based in Leipheim, Germany, was the leading manufacture of metal shopping carts in Europe but had little to no presence in North America. In 2006, Wanzl, advised by a Managing Director of TrueNorth, made a minority investment in the Cari-All Group (“Cari-All”). Cari-All, with headquarters in North Carolina and additional operations in Quebec and whose brands included Cari-All, Technibilt and Rondi, constituted North America’s largest shopping cart manufacturer. 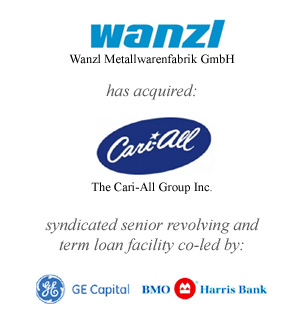 In 2012, Wanzl and its team, including TrueNorth, completed a transaction with Cari-All’s private equity owners, OMERS Administrative Corporation (Toronto) and Caisse de dépôt et placement du Québec (Montréal), on an exclusive basis and successfully preempted an auction process for the remaining majority stake in the company. 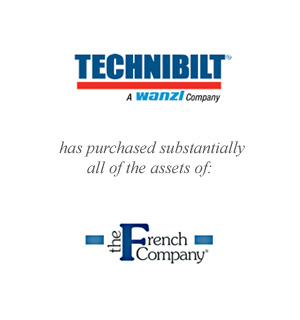 Wanzl saw this as a unique opportunity to address the North American market and establish manufacturing in the largest retail market in the world. In addition, TrueNorth’s engagement included the services of securing a senior debt facility to provide Wanzl with the capital necessary to complete the acquisition. The transaction and its financing were highly complex and subject to compressed time frames. Approximately two years after completing the 2012 acquisition, TrueNorth was again retained by Wanzl’s new US subsidiary to target and complete an add-on acquisition in business services. This target, The French Company based in Twinsburg, Ohio, provides customized maintenance, repair and cleaning service programs for shopping carts on a national level. 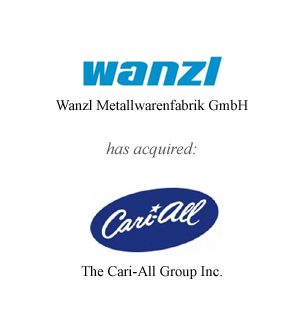 This acquisition would allow Wanzl to be in front of the customer when they are making their critical decision to refurbish or replace their aging fleets. Similarly to the previous transaction; this transaction was negotiated and completed on an exclusive basis avoiding an auction process. 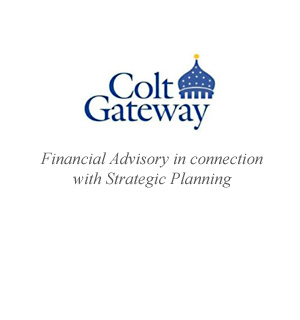 After introduction by the Connecticut Department of Economic and Community Development (“DECD”), TrueNorth was initially retained by Colt Gateway, LLC to review the strategic plan for its 17 acre mixed use historical landmark campus located in Hartford, CT. This campus was once home to Colt Manufacturing’s original firearms headquarters and manufacturing facility and stands as one of the most historic properties in the State of Connecticut and has recently been designated the second only federal national park in the State. Capital for revitalization had been provided by one of the largest Tax Incentive Program (“TIP”) investors in the US as well as the City of Hartford, the State of Connecticut and the EPA. 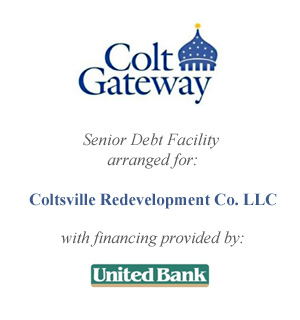 Approximately three years later, TrueNorth was again retained, this time by Coltsville Redevelopment Company LLC, the property developer, in connection with arranging a senior debt facility to provide capital necessary to refinance certain debt and expand the development project. The complex financing included tax incented financing timing issues, environmental issues and shared parking/boiler issues. TrueNorth successfully raised the necessary funding from United Bank. The Colt Gateway campus has approximately 100 residential living apartments, retail stores, restaurants and shops and is home to such commercial tenants as the Capital Region Education Council (CREC) charter school featuring its nationally recognized Autism Program, Insurity and Foley Carrier. The property is currently a National Historic Landmark and will be home to a historical museum in the future. TrueNorth was retained by Thermospas, Inc., a leading manufacturer, seller and servicer of Hot Tubs sold direct to consumers. Unique in the industry, the Company sells its products through direct marketing channels including the internet, telemarketing and a direct in-home sales force. At the time, ThermoSpas was suffering from liquidity issues due to a downturn in the economy, which was having a devastating impact on large ticket consumer durables. Initially, TrueNorth was successful in the restructuring of unsecured debts and refinancing of certain senior debt facilities. This was a short-term solution to stabilize the company. Shortly thereafter, ThermoSpas filed a voluntary petition for relief pursuant to Chapter 11 of Title 11 of the US Bankruptcy Code. TrueNorth was retained as financial advisor and investment banker and sought buyers for the operating assets of the business. 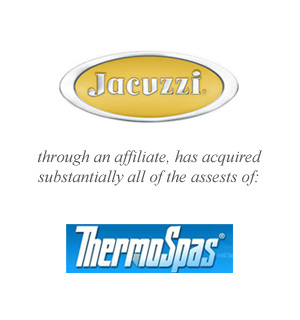 A Jacuzzi Brands Corp. affiliate (“Jacuzzi”), purchased substantially all of the assets of ThermoSpas post-filing, pursuant to Section 363 of the US Bankruptcy Code. 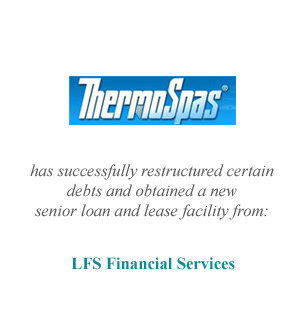 ThermoSpas continued as debtor-in-possession of its assets and operation of its business through closing while TrueNorth managed the auction process and sale. As a condition of sale, Jacuzzi entered into a new two-year lease at the Company’s facility in Wallingford, Connecticut and agreed to employ a set number of employees in the State of Connecticut.